We have experienced firsthand the excitement that the sport of hockey has brought many youths over the past couple of years as China begins its journey towards the Winter Olympics. Currently, there are an estimated 10,000 young players in the city. 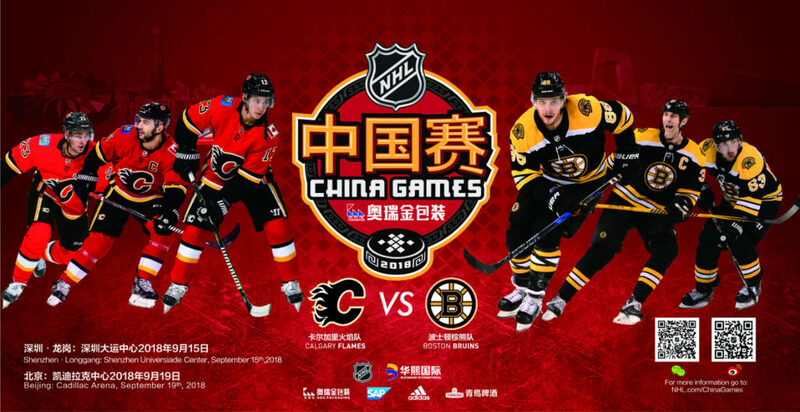 Last year, the National Hockey League (NHL) Preseason China Games between the Los Angeles Kings and the Vancouver Canucks came to both Beijing and Shanghai and helped to further boost up some exposure for the niche sport. Now in its second year, the preseason games are back on Sep 19 at Cadillac Arena and will be featuring the Boston Bruins and Calgary Flames going head to head for a night of some of the finest hockey playing on the planet. This is an excellent opportunity for those interested in experiencing both the finesse and aggressive nature that the NHL is famous for. Last season, both of these teams were in the top of their division! These annual games have been organized to drum up support for the sport due to the upcoming 2022 Winter Olympics in Beijing. The goal is apparently to get 300 million people participating in winter sports over the next four years. To help do this, the NHL has been working with sports bureaus across China to help develop grassroots hockey programs and camps here and the US that are specifically catered towards Chinese youths. But the NHL and the 2022 games aren’t the only things that have helped to elevate the sport in the capital. There’s also the expansion of the Russia-based KHL into Beijing, creating the Kunlun Red Stars. While this team is apparently struggling to gain a fanbase, they recently found an unlikely ambassador and one of the most gifted players to ever lace up a pair of skates; Wayne Gretzky. Whether or not this will help the team maintain its place in the league remains to be seen, but it’s at least a worthwhile attempt to stir things up. To secure your tickets for the big game, click here!